The Braves developed a top minor league prospect two years ago who was rated #17 out of baseball’s top 100 prospects. He was one of those rare players who had all the tools in the shed. That is he had plus ability to run, throw, field, hit for average, and hit for power. He was a five tool player. He projected to soon be a starting outfielder for the Braves for many years and a budding star. He had confidence, poise, work ethic, determination and patience. No I’m not talking about Jason Heyward. I’m talking about Jordan Schafer. That was the beginning of his rollercoaster ride. From there he went through a 50 game HGH suspension in 2008. No evidence was ever mentioned to say that he took them but rather only that he was linked to them. Perhaps he associated with someone involved. But it held up regardless and he never complained or whined about it. As he entered 2009 Spring Training, his ranking had already dropped to 67 on MLB’s top 100 prospect list. That was actually two slots below Freddie Freeman, and Heyward had already vaulted to #3. The rollercoaster had hit bottom. 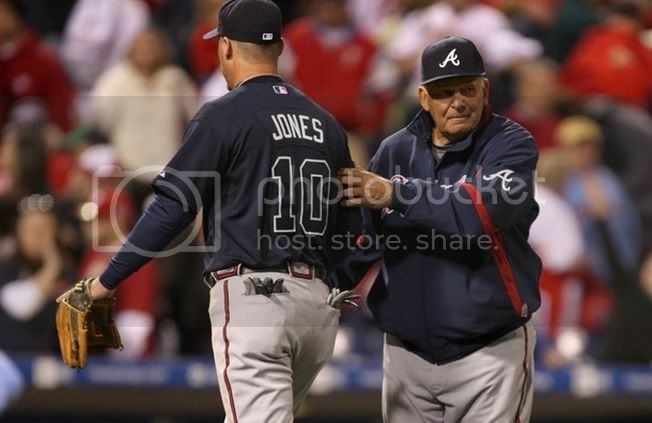 But Jordan had a killer spring in 2009 and beat out Josh Anderson who was faster, had performed reasonably well at leadoff for a couple months with Atlanta in 2008 and who some thought might win the job instead. Schafer started the year with a bang, hitting two home runs on the road against Philly in the first series of the year, including a home run in his first at bat. He looked like he was on a fast track to become the prototype leadoff hitter the Braves wanted, and a potential all-star with his great all-around game. The roller coaster had peaked again. The fourth game of the season, in his last at bat, he heard a pop in his wrist and it was all downhill on the roller coaster ride from there. I was amazed at how he struggled and especially all the strikeouts. It hurt watching him play as he swung hard and looked like the ball disappeared through his bat somehow each strikeout. How his ego and psyche were able to hold up over two months of embarassing and frustrating results was beyond my understanding. He was sent back to the minors, then taken out of the lineup here and there with nagging wrist problems, then finally slated for surgery and his year ended. The roller coaster had bottomed out again. Once it was all over he finally admitted that he should have let management know how serious his injury was. But he manned up and decided to tough it out. I think the Braves should have forced an MRI much earlier and found the problem. Cox even admitted that he knew he was playing hurt but that he wanted him in for his stellar defense and thought the lineup could come up with enough runs to make up the difference. Uh...no! Clearly no one strikes out as much as he did without something going on and they should have known there was at least the possibility of a more serious injury. The question now is, can he get off the roller coaster ride and jump onto an oriental 200 mph train the rest of his journey? Throughout this debacle Jordan has shown amazing resilience, some level of deep faith, unwavering self-confidence, and is ready for the challenge. He has stated over and over he knows his abilities. In interviews he does not even sound like he worries about it. Since all that happened, he now has McLouth and Cabrera seemingly blocking his path for the future with the Braves. But he is not concerned. He just wants to play baseball and maintains that everything will take care of itself. That sounds like something Cox would say. Even throughout all of this, in my opinion, his skills have already proven to be superior to his competition. He is a fearless defender, runs down many difficult balls, has a fantastic arm with great accuracy, and is very aggressive in his defensive play. We need that. I’m tired of seeing McLouth pull up short rather than dive for a ball or worry about the outfield wall, allow runners to score from second without even an attempt, and generally have an overall conservative approach to playing center field. You can say his hamstring caused that except for the fact he was playing that way before it was hurt. No, that is his style and why he has a Gold Glove in my opinion. He doesn't take chances so his percentage is naturally higher. Center field should be your most aggressive outfielder. They can create defensive excitement equivalent to what a base-stealer can do when on-base. Jordan has that ability. Offensively he can be a 300/360/500/800 player with 25-30 stolen bases. He can bunt and is not strictly a pull hitter. I see him as a star for 10 years. I for one believe in this kid. When he never complained at all about the HGH incident I knew he had special makeup. What 21 year old kid would not have been screaming and pointing the finger at others and denying he did anything wrong? Jordan never said a word and was never quoted in the media with any kind of denial statements. He just sucked it up and took his punishment. He felt he was wrong and should not have been involved so he accepted the punishment given without a fight. In an era with Clemens and Bonds and A-Rod and McGwire still unable to accept full responsibility, that is very refreshing for me. I’m going to root for him and support him. Personally, I feel he is still the future lead-off man and center fielder for the Braves. He plays better defense, has a more aggressive attitude, is faster, and has better overall skills than either McLouth or Cabrera. Of course, an increasingly important factor is that it will be years before he makes millions and becomes unaffordable even if he becomes a superstar. My hope for Jordan is that he has another killer spring, continues in triple A for a few months, then gets the call up to the bigs again. I’m not saying I want McLouth or Cabrera to fail. We need them to perform. But if everyone starts off with strong performances, it gives the Braves options before the trade deadline to improve the team. I can see McLouth or Cabrera packaged in a deal for a bat or to fill some other need that may appear by then. Both have desirable contracts for another team and with strong performances will generate serious interest. Of course there is always the possibility of trading Jordan instead. Who wouldn’t want a player with a tool shed of skills who is back on track and still young? However, with payroll concerns and his upside, and management's continued statements that they feel he will be a big part of our future, I like his chances to stay with the team. Whatever happens, Jordan, I wish you the best, and can’t wait to see you perform again. You are a very exciting player and I admire your courage and determination. Go out and prove to everyone you are still a potential star and good things will happen for you. Let’s all support him this year for a strong comeback. If for some reason you have never seen him play, he is the one with all the tattoos up and down both arms to the shoulder. So he shouldn’t be hard to recognize if you get a close view when he is not wearing long sleeves. My next blog will be on Monday. The topic will be about Frank Wren. I’ll be wearing my catcher’s gear to protect me from all the nasty comments I’m expecting. Griff says…later. I agree... My hope is by the end of May he will force the Braves to promote him to be our center fielder/leadoff hitter... I like everything about him but the tattoos... I just don't like tats.. I'm with you on the tats. I guess it is just a sign of his faith and determination.